As the World Series kicks off today with the Chicago Cubs taking part for the first time since 1945 and looking to bring home the championship for the first time since 1908, we can’t help but be reminded that Rockford has some fantastic history with the sport. Of course, we all know about the beloved Rockford Peaches, made famous by the movie A League of their Own and who played from 1943-1954 in the All-American Girls Professional Baseball League. But, did you also know that AJ Spalding is a Rockford area native as well? 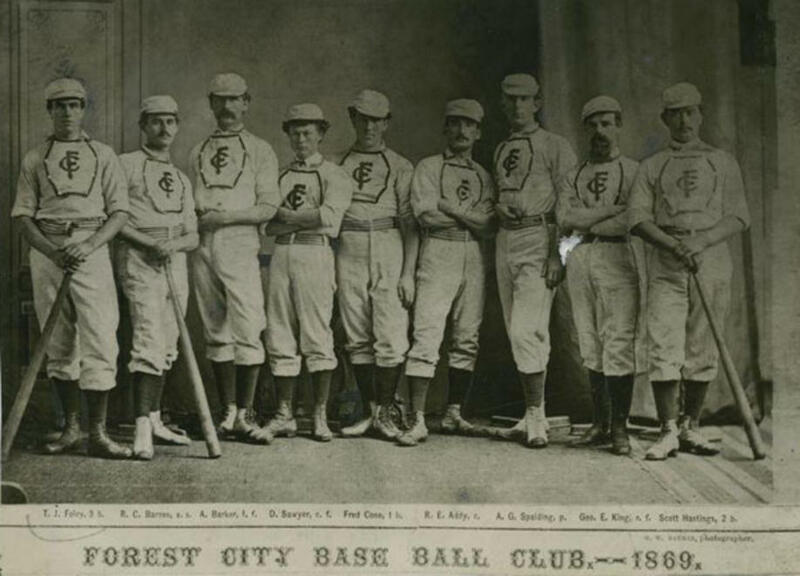 Born in Byron, IL, in 1850, Spalding would go on to play for Rockford’s Forest City Nine before joining the Chicago National League Baseball Club (then known as the Chicago White Stockings but would become the Chicago Cubs. In 1876 he helped pitch Chicago to the first National League Pennant. Spalding would also tour the world promoting the sport he loved and was an innovator that popularized the use of baseball gloves.